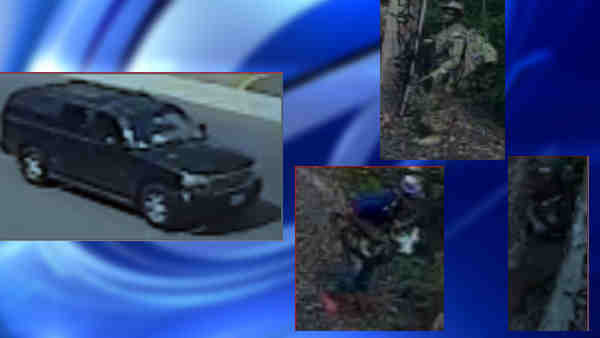 Police are looking into a group of men seen near some New Jersey Transit train tracks. GLEN RIDGE, New Jersey (WABC) -- Police are looking into a group of men seen near some New Jersey Transit train tracks, one carrying a rifle and wearing camouflage. Three men were spotted near Glen Ridge Interlocking between Bay Street and Glen Ridge stations around 3 p.m. Aug. 8. An engineer on the Montclair-Boonton line reported one of the men wearing military camouflage, and carrying a rifle and a video recorder. New Jersey Transit Police said they believe a black SUV spotted nearby belongs to one of the suspects. It was last seen in Glen Ridge heading toward Bloomfield. The men possibly were shooting a movie, police said, and criminal charges will not be pursued if that's the case. They might not have been aware that they were trespassing, police said.